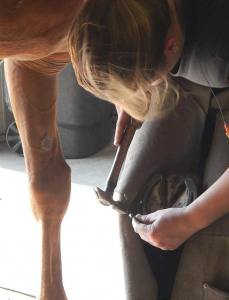 The Midwest Horseshoeing School at Illinois teaches a year-long program that will prepare students to become professional farriers. We cover functional concepts of trimming and forging that reflect real-world applications. Every lesson is supported by solid theory of equine anatomy, physiology, and biomechanics. Throughout the course, students will be provided countless opportunities to learn and practice a variety of horseshoeing techniques. These exercises are integral due to the wide variety of shoeing methods employed by the successful professional farrier. Our curriculum will also help students prepare for the American Farriers Association Certified Exam. Hours in session: Tuesday through Saturday (8:00 a.m. to 4:00 p.m). The school shop is opened after regular school hours to allow students to perfect their skills. Certificates of Completion are given to those who graduate. Pay in full in advance. Provide a 35% down payment; the remaining amount will be divided in five equal payments that will be made every four weeks, so that the entire amount is paid prior to completing the program. Provide a 35% down payment; the remaining amount will be divided in 11 equal payments that will be made on the first of each month over an 11-month period of time. The application process includes filling out an online application form as well as submitting an essay. Applicants will also complete an interview, either in person, via Skype, or over the phone. Note: A limited number of applicants are accepted. 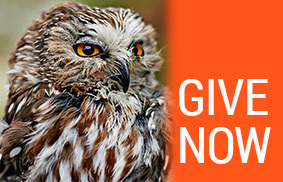 Prospective students must be at least 17 years old and in good physical condition. No previous experience with horses is necessary. Students under the age of 18 will be required to have a release signed by a parent or guardian. If you have already enrolled and you have paid your deposit, here are your options for paying the remainder of your tuition. Established in 1964, Midwest Horseshoeing School has been producing skilled, well-educated farriers for over 50 years. The unique MHS program attracts students from the United States and abroad. In addition to providing a comprehensive education in trimming and forging, award-winning instructors also lead in-depth studies in equine anatomy, physiology, and biomechanics. The carefully structured curriculum of practical lectures and hands-on experience ensures that graduates are confident and well-prepared to develop their own farrier business. In February 2017, the co-owners of the school, Diego Almeida and Steve Sermersheim, joined the staff of the University of Illinois College of Veterinary Medicine and Midwest Horseshoeing School became a program of the college, which is a leader in veterinary education and animal care. Alemeida and Sermersheim continue to provide instruction and direction for the school. Midwest Horseshoeing School is approved as an entity within the University of Illinois at Urbana-Champaign, an Illinois public university. The work is performed at discounted prices by students and inspected by instructors, who are AFA-certified farriers. We will come to your location to deliver services or you can haul your horses to our shop. We also attend to horses at the University of Illinois at Urbana-Champaign and at Diamond H Vet Clinic in Covington, Ind. On Fridays at the University of Illinois at Urbana-Champaign. One Saturday a month at Diamond H Vet Clinic in Covington, Ind. All other times at our location in Divernon, Ill., near Springfield. To book an appointment, call (217) 300-5621. Instructors are also available for appointments, usually in the evenings or weekends, at competitive rates. We will travel to your farm or you can haul your horses to one of our locations. Call for pricing. To book an appointment, call (217) 300-5508. Earlier in March, we relocated our teaching program to Urbana, Ill., to be closer to the University of Illinois College of Veterinary Medicine, which has been our home institution since February 2017. However, we are still taking appointment requests from our clients in the Springfield and Divernon area. We plan to continue servicing our clientele in central Illinois. If you would like to set up an appointment for a trim or horseshoes, just call us at (217) 300-5621. Learn more about our services. Our clients are very important to us. If you have any questions, please let us know. He worked as a computer engineer, and dreamed of becoming a professional musician. But Diego Almeida says he didn’t discover his true calling, his life’s passion, until he contemplated an offhand remark from his landlord. Not only did he find such a thing—the Midwest Horseshoeing School in Divernon, Ill., south of Springfield, acquired in February 2017 by the College of Veterinary Medicine—but he also became an integral part of its operation, spending the last seven years as a farrier instructor and eventually co-owner of the school. As you’ve probably guessed, the landlady’s question didn’t just come up in conversation. At the time, Almeida, a native of Brazil, had elected to come to the U.S. and take introductory courses at Moraine Valley Community College in Palos Hills, bringing him closer to the Chicago blues and jazz scene where he hoped to advance his guitar skills. His father, a now-retired colonel in the Brazilian army, is an avid horseman and still maintains a small stable on his farm. Sometimes the homesick young student would reminisce about his equestrian childhood with the woman in whose home he rented a room. For his birthday, she decided to surprise him with some riding time at a nearby stable. So impressed was the stable owner with his skills that she offered Almeida a part-time job as a trail guide. “It was very fun,” says Almeida, 36. “I met a lot of people. But then in the wintertime, there was no work.” Sensing his melancholy, his landlady made an off-the-wall suggestion as to one way he could stay around horses practically year-round. He researched online and found the Midwest school. For Almeida, it was a shoo-in. Although he undoubtedly works longer and more physically demanding hours now as a farrier and instructor, he says he grew disenchanted with his first career as a computer engineer. So he jumped at the opportunity when Steve Sermersheim, owner of Midwest Horseshoeing School and MiddleFork Forge (which also has been acquired by the college) and the man he calls his mentor, offered him an apprenticeship in 2010 after he completed what was then a 12-week course. Seven years as a farrier instructor later, Almeida has received the American Farrier’s Association Outstanding Educator Award—two years in a row. “The thing about it is, it’s very challenging,” Almeida says of his work. “I’m pretty competitive, and I challenge myself a lot. If I make a horseshoe and I know I can do better, I’m ready for the next horse, because I want to try it again. There’s room for caution, too. A successful farrier needs to be a bit of horse whisperer, too. In his “spare” time, Almeida maintains a reciprocal arrangement with a horseshoeing school in Colombia. “Every year we have one or two students from there, and we try to go there once a year to help the guys who can’t come because it’s so expensive. We’re helping them develop their certification process. The Midwest Horseshoeing School is part of the University of Illinois College of Veterinary Medicine.